A fascinating new geological study reveals a piece of oceanic crust in the Mediterranean Sea that could predate the supercontinent Pangea. Dated at around 340 million years old, the formation found by geologist Roi Granot of Ben-Gurion University of the Negev is a promising contender for the oldest oceanic crust in the world. Nature Geoscience published Granot’s research online this month. In the research, Granot details how he used “magnetic anomalies” to date a piece of oceanic crust in the east Mediterranean Sea, an area geologists have struggled to date with much consensus. Granot sailed out into the Mediterranean Sea with magnetic sensors, and that’s when he found a mid-ocean ridge geologists hadn’t before discovered. He was able to date the oceanic crust to about 340 million years ago, over 100 million years older than the piece of oceanic crust near Japan once thought to be the oldest at 190 million years old. On land, Earth’s crust often dates back billions of years. Yet oceanic crusts move almost like a conveyor belt and are therefore typically much younger. Oceanic crust forms as magma rises up “at mid-ocean ridges.” When the magma hits land, it slides underneath and is recycled to move upward once again. Magnetic minerals in cooled magma create a pattern based on magnetic pole reversals that geologists can use to help determine the age of oceanic crust. While Granot’s find is thrilling, some geologists want more information. US Geological Survey scientist Uri ten Brink told New Scientist that Granot’s discovery is “a nice suggestion that will certainly promote more debate.” He added that interpreting magnetic signals in the Mediterranean Sea is complex. 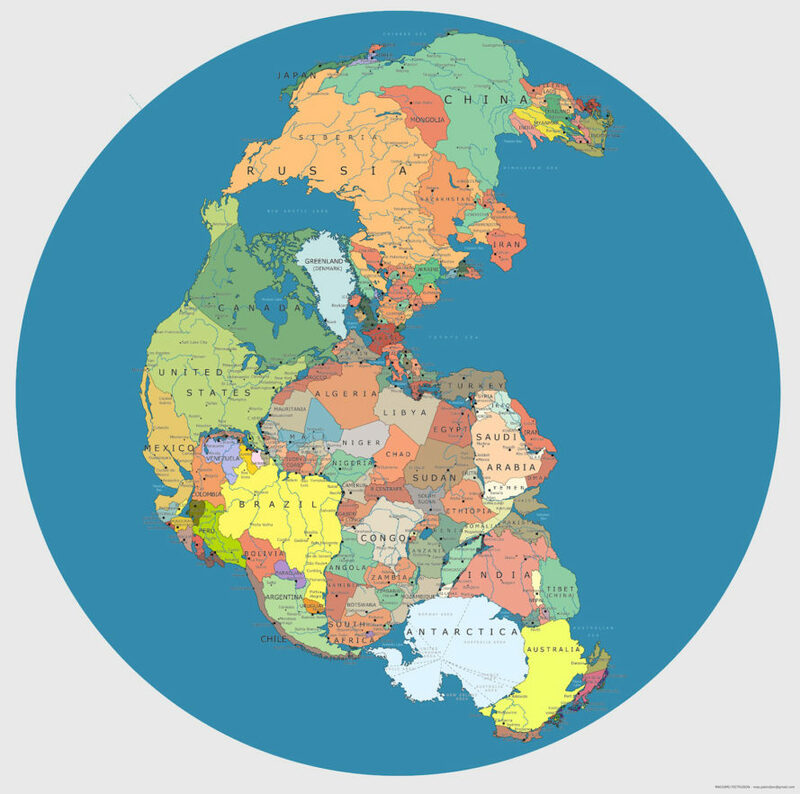 But if the new oceanic crust is as old as Granot thinks, it could help us learn more about how the supercontinent Pangea formed, or may even indicate that Pangea was beginning to break up before it was ever fully formed. Geologist Roi Granot of Ben-Gurion University of the Negev says he's found the oldest oceanic crust in the world. The oceanic crust found by Granot could have formed 340 million years ago. Nature Geoscience published Granot's research online this month.